Dental emergencies don’t just spring up during office hours. Tooth-jarring injuries or the extreme pain of a pulp infection can happen around the clock, so it’s good to know that Dr. Cheng H. Tai, DDS, MS, PC, in Midtown Manhattan, New York, has you covered. Contact the office by phone or online as soon as possible after an incident, and Dr. Tai will do his best to provide prompt and thorough emergency care. Is a tooth seriously damaged, including deep cracking or knocked out? Are you in heavy, persistent pain due to a tooth issue? Could your dental problem have other health complications? If answer “yes” to any of these questions, it’s likely your dental problem should be treated as an emergency. Immediate treatment can save a tooth, relieve severe pain, stop persistent bleeding, or prevent other health consequences. Treating dental emergencies is one area where Dr. Tai distinguishes himself from other practices. 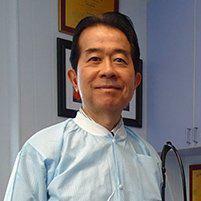 Not only is his office located in Midtown Manhattan, but Dr. Tai also lives just a few blocks away. Getting to the office to handle an emergency is rarely an issue. Also, Dr. Tai is a prosthodontic specialist, so the longer-term cosmetic effects of emergency repairs are always considered. He approaches saving a tooth in a way that maintains its natural appearance after treatment is complete. Abscesses, infections, and inflammations can be serious and life-threatening if left untreated. These are typically quite painful and may or may not be accompanied by noticeable swelling. Typically, a root canal procedure relieves the pressure and pain, while allowing the tooth to drain. Fractured, chipped, or cracked teeth are similar problems, but not all are emergencies. If a tooth is fractured or cracked in such a way that the pulp of the tooth is also damaged, then immediate treatment is necessary, whether the tooth hurts or not. Chips that aren’t deep or accompanied by pain may be able to wait a day or two. Knocked out teeth may shake you emotionally, but if the tooth is intact, it’s possible to save it. If you’re up to it, you can try to place the tooth back in its socket immediately, after gently rinsing it. Leave any attached soft tissue in place and gently bite down once it’s in place. Otherwise, preserve the tooth in a cup of milk and contact Dr. Tai. How do I proceed if I have a dental emergency? As Dr. Tai’s patient, you’ll receive instructions on how to contact the office in an emergency. Dr. Tai uses the Waterlase® system, an innovative dental tool that’s well-suited for needs of emergency dental treatment, as well as many conventional procedures.